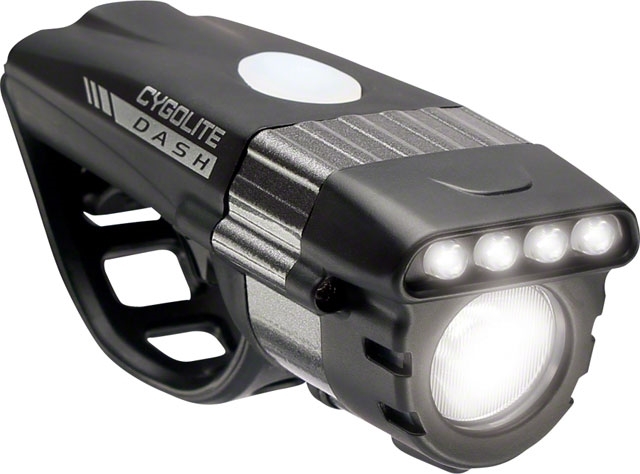 The sleek Dash ProTM 600 elevates your adrenaline rushes with an aggressively powerful 600 lumens to pierce through the night. Engineered for road cyclists, its highly efficient lens enables an extra wide, long range beam to maximize your line of sight. Beyond its exceptional night capabilities, the built-in array of quad Daytime Running Lights (DRL) makes you stand out in broad daylight. 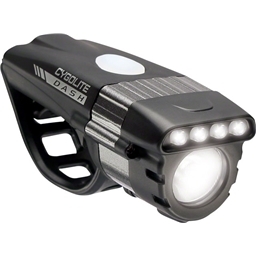 Every bit the road cyclist's light, it uses a low profile flexible mount designed for most handlebars including aerobars. Great commuter light. Great for nighttime or as a daytime flashing "TO BE SEEN" light. Multiple settings for any lighting need. The heavy duty rubber strap fits snuggly around any type of handle bar. Love this light; bright and multi functional!